As I promised, here is the truth, the whole truth and nothing but the truth, so help me God………. As we had discussed on the phone the other day, I had never heard of Wipe Out or any of your other products until a visit from a friend who lives in Texas. We had been shooting his Wilson AR. Not having a clue the last time it had been cleaned (he had not seen the rifle in a year) and after about 75 rounds we thought it a good idea to run some cleaning STUFF down the bore. I have always used Kroil – Shooters Choice and Butches to clean all of my guns. And to the best of my knowledge and what I could see on the patch, ALL OF MY BARRELS WERE CLEAN!!!!! When my friend handed me a can of Wipe Out and told me to re-clean the gun we had just finished and all of the guns I had that were supposedly clean, my first reaction was, “ARE YOU NUTS”. Why should I re-do all of them when I no there is nothing left in them but squeaky clean metal. Well I did what I was asked and to my total amazement you should have seen the crud that came out with the first patch. Not only was there fouling from God knows what but it had the nicest shade of blue you ever saw plus chunks and pieces that landed gently in my patch catcher. As you can already guess my jaw hit the floor with the force of a 50 BMG, and to add insult to injury all of the money I had spent over the last year on cleaning solutions hit me right between the eyes like a bucket of, well you get the picture. I have been shooting for about 46 of my 50 years, and have never seen a product that was so easy to use and cleaned the way Wipe Out cleans. I think back on the countless hours of brushing moping and cussing, not to mention using enough patching material to outfit every person on the globe with a pair of full length pants and enough cleaning solution to make every dingy piece of metal ever made in Detroit shine like a new dime, I was truly shocked. Wipe Out is the most amazing product I have ever seen, There is no barrel or breech that Wipe Out will not clean. I have used it in my Varmint rifle all of my Black Powder guns my large bore guns, and even the loose change in my pocket. IT CLEANS EVERYTHING I HAVE USED IT ON. It is my opinion that this is the best cleaning solution I have ever used!!!!!! It took the groups on my 22-250 from 1.75 to an amazing .312 at a 100 yds with just one cleaning. My Black Powder rifle (54 cal.) went from a 2.25 to a .521 at a hundred yards with just one cleaning as well. As you can see if you think your barbell needs to be replaced clean it once with Wipe Out and see the difference. I did however clean several of my guns twice because of the residue in the lands of the barbell. Again to the folks @ Paul Co. who just made my life a more accurate place, thank you and please never run out of the truly amazing product you have…. [/vc_testimonial][vc_testimonial style=”theme7″ name=”Wolfer” nameclr=”#000000″ profclr=”#000000″]I thought I would give your wipe out a little plug. I’m in the business of killing coyotes, not in the business of endorsing or plugging the products I use but I should give credit where credit is due. I am a predator control specialist and my rifles are a major part of my equipment used in the daily operation of the predator control program here. Needless to say it is important to keep these rifles in top operating condition and a big part of that is keeping them clean for optimal accuracy. One of my sheep ranchers who as all sheep men do has a rifle that he keeps in his outfit 365 days a year so he can throw lead at every coyote that he sees which is mandatory for every sheep man. This rifle is a model 70 Winchester 22-250 and is not a pre 64 model but is not far from it in age. The rifle had been shot 100’s of times with out being cleaned. He was going by my place here on the way to a weekend basketball tournament that his son was playing in. I asked him to leave the gun with me on the way by and pick it up on the way home. I also told him to look down the barrel before he dropped it off. Well I had the gun for 3 days. The first day I filled the barrel with wipe out and left it over night. The next morning I ran a patch through it and it was just amazing the copper and carbon fouling that was in that barrel. Anyways I cleaned it 2 more times with the wipe out and after the 3 rd cleaning it was spotless with no copper or carbon fouling. He stopped and picked up the gun and took it home. The next day he called and said thanks for the new gun. He said he finally could hit something wit it again and couldn’t believe how clean the barrel was. It is nice to come home at night and just take the rifle I used that day to the gun room fill it with wipe out and then a half hour later go back and run a patch or 2 through it and the gun is clean and ready to go. I just don’t miss running patch after patch through the barrel to get it clean that I had to do with the previous solvents that I used. 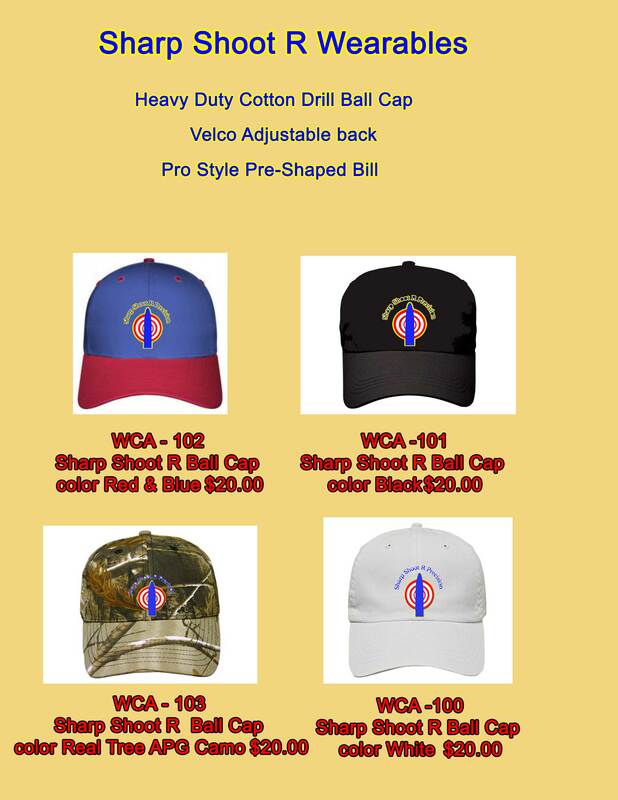 [/vc_testimonial][vc_testimonial style=”theme7″ name=”Boyd Heaton” nameclr=”#000000″ profclr=”#000000″]I am a 1000 Yard Bench Rest Shooter and a Club Officer at the Original Pennsylvania 1000 Yard Bench Rest Club in Williamsport,PA. I started using the WipeOut bore cleaner at the start of the 2003 season. To say that I am pleased with your product is an understatement. After I would fire my record string, I would put the gun on the cleaning bench. Spray the WipeOut in the bore. Take care of my range duty’s. in the 16.5 pound group agg’s.10 targets for a 100 shot agg of 10.44 inch’s. A 6th place in the 10 match(100shot) score agg with a 87.200.
thought this barrel would be the ideal test for Wipe Out. been told this, I probably wouldn’t have believed it. getting any on it. That works best for me. It really does the job. [/vc_testimonial][vc_testimonial style=”theme7″ name=”Jim Dyck” nameclr=”#000000″ profclr=”#000000″]Terry, I received the 3 cans of Wipeout bore cleaner you sent me. This stuff is absolutely awesome. after letting the rifle sit for only a half hour with Wipeout in it, was deep blue. And I absolutely had scrubbed the bore down with an ammonia based cleaner. Needless to say this product deserves the raves I’ve heard about it on the website I read about it on. (785-883-4444) and your email please let me know if this number and address are the ones you want me to give him. I ended up using a flexible soda straw through the chamber since I obviously couldn’t seal the nozzle on the flash suppressor. I tried it on a .270 that fouls moderately but usually comes clean with Butch’s Bore Shine and some elbow grease. It worked as advertised with one overnight application plus another 30 minute app. outside diameter. My #1 suggestion would be maybe a couple different-size nozzles to work in different guns. cone would be easier to use. Will probably try it this weekend on a pair of .30-06es that foul truly horribly. a .375H&H and a .416 Rigby. All rifles cleaned up well, especially the .17s and 220. I LOVE the no brush cleaning method!!! and came clean right away the 375 has tool marks in it ,3 applications 1 hour in-between and the Rigby took about 5.
like there is no tomorrow 18″ today and going strong. side it takes some playing to find out how to not overfill. Your product, Wipe-Out, is great! I will see if I can’t get a dealer nearby to carry it, otherwise order from you. I won’t be without it if I can help it. Spread the word I shall. Thanks. this gun likes best)and the first 5 at 100 yds. could be covered by a nickel. The next 5 at 200yds. measuered 1 3/4 inch. M.O.A.at 200. You have an outstanding product, I will use it forever and recommend it to everyone. Terrific Website, and reminder to all that we must vote and educate everyone. [/vc_testimonial][vc_testimonial style=”theme7″ name=”Perry Baygents” nameclr=”#000000″ profclr=”#000000″]I ordered some Wipe Out and Flush Out about 10 days ago. Received the product, Promptly I might add. Got a chance to use the Wipe out, and guess what, My buddys have just about relieved me of it. I am very impressed with your product. Over the weekend I probably cleaned 50 rifles with the Wipe Out. Some of these guns haven’t been this clean since they were new. Now I’m not one to let a rifle barrel stay dirty. Either in the Gunsmithing or the Reloading Forum, And you can get a little feedback on Wipe Out. If you haven’t already, GET READY to START FILLING A LOT OF ORDERS. Sweets, Barnes, Shooters Choice, JB Paste, and even a homeade concoction of Hoppes/Kroil (varminters sauce). “Filthy Mc Dirty” because he could not get it clean. This rifle has had at least four thousand rounds through it. two times, the black residue was still coming out on the patches that I pushed through the bore with a cleaning jag. and then pushed a couple of lightly-oiled patches through, all the black stuff seemed to have come out . received it a couple of days ago. Pauls company, by way of excuse, E-mailed saying they were really “behind the 8 ball with orders”. That was supposed to mean that they were swamped! rounds fired over it’s life. #1. Hoppe’s Benchrest 9 copper solvent. #4. JB non-embedding bore cleaner. I applied the Wipe Out as per instruction after setting the rifle up in an Uncle Mikes butterfly sand bag to hold it steady. ( of which there were none ). I inserted a bore guide in the chamber and squirted the Wipe Out in. eat some finishes. This gun has an oil finish that I wanted to protect. *NOTE. I perforated a sponge ear plug with a darning needle and pushed it onto the nozzle of the Wipe Out spray can. That effected a good seal. It has a tendency to “stall” or refuse when the barrel is full. A second squirt results in “kickback” discharging the Wipe-Out back out around the cans nozzle. The stuff needs to be used SPARINGLY since as much as 1/2 will be wasted with excessive injection. It takes very little to fill the barrel. by a cotton ball ( of the type the women use with cosmetics ). They both came out with blue staining!!! 1 1/2 hours ( total of 5 times ) and only on the 5th time did I get a fairly clean swab without blue but with some gray coloring. The blue staining means copper but it doesn’t quantify it. How much copper? In an effort to find out I took a copper penny and weighed it. It weighed out at 38.4 grains on my powder scale. Then I coated the penny on both sides with Wipe Out and waited until it broke down which took about 15 minutes. The liquid began to evaporate so I wiped the penny with a Kleenex tissue and weighed it. It appears to have lose 1/10 grain. I repeated the process and it lost about another 1/10 grain more or less. *( It is not precise enough to ascertain the exact weight in sub 1/10 grain amounts ). approximately 1/10 grain. That is the assumed amount of copper removed from the penny. the Wipe Out took out “A LOT” more copper. 1. Wipe Out seems to perform as advertised. 2. When a barrel seems to be clean using other products, it is NOT totally clean. to shoot these at the range and see if the barrel has come back to it’s original accuracy. [/vc_testimonial][vc_testimonial style=”theme7″ name=”Bill Tibbe” nameclr=”#000000″ profclr=”#000000″]Interesting thing I found…….I’ve tried the wipeout on a couple of barrels. The first was a slightly fouled rem 700 25-06.
lay them flat on the top of my freezer, give ’em a shot and go watch tv. Come back a while later and plunge them out. Sierra 100 grain bullet. The first two shots were about 1 1/2″ too high. The next three grouped 1/2″ wide x 3/4″ high. right dead center on the “X ” the official NRA military type target. I am not exactly sure as to what to call the two initial shots but there are two terms:1. Fouling shot 2. Flier. On the same trip I took my Ruger Model 77 Mark II .338 Winchester Magnum along and shot it. I had loaded the French GPA all copper hollow point bullets 213 grain, using 66 grains of IMR 4350.
holes touched the penny. It can be noted that the powder/load/bullet combination was from ” scratch” never before loaded. the point of impact should be held a littel bit low ( 1″to 2″ ) then subsequent shots can be held basically “on”. very far. I’m sure if I would have let it sit longer (like the directions say) I could have got it all in one application. The next rifle I try it in, I am going to leave it in the barrel overnight, and see what happens. This is what they suggest for badly fouled barrels, or for barrels that you do not know how much fouling is in them. not attack the steel like ammonia. I also ordered the Flush-out degreaser and Slicker. I really like the Slicker lube as well. It sprays on as a light penetrating oil, then dries to a lightweight grease. discovered it on the shelf of my local gun store. So I bought a can and tried it yesterday. I’d been following this thread closely because I have a “tiger stripe” barrel on a new gun. Black grooves; orange lands. So much for not following the correct break in procedure! just couldn’t make any progress on the copper. That bore soaked for at least a week, and I couldn’t see any difference. Lots of green on the patches, but the bore still was nice and coppery. Patch came out bright blue. So I applied it again, and went to bed. This morning, the patch was totally clean. I’m blown away. Got three more guns working as I type…….almost makes you feel guilty! all around the can and muzzle. I don’t care though; the product is much cheaper than elbow grease!!! I know that Wipe-Out can’t set up into a solid glue……..that isn’t true of some other stuff out there. Breaking in a barrel (right) will be unbelievably easy with this stuff. (about 100 rounds fired). Here are my observations. Sprayed the Wipe-Out from the breach using a bore guide (without solvent reservoir). Absolutely no mess and no residue in the action. The excess Wipe-Out was neatly pushed out the end of the barrel. First application was left in barrel 2 hours and using a patch and jag, found no blue residue. but not enough to cause the tell-tale bluing effect. My usual cleaning regimen with Sweet’s 7.62, and J-B, had probably kept the copper fouling under control. However I was never able to eliminate the highly visible “tiger stripes” until I used this product. I was impressed with the product’s ease of use and will continue to experiment with it on my other rifles. The wipe out is very good indeed, so be careful all that stuff is not the same…..I have had some checkered experience with a similar product. [/vc_testimonial][vc_testimonial style=”theme7″ name=”Canuck” nameclr=”#000000″ profclr=”#000000″]Well, I have almost finished off my first can. It didn’t last 100 cleanings, but it sure cleaned the crap out of all my rifles. I am sold on it. It cleaned bores that I have never been able to clean with thoroughly with other standard cleaning solutions. FYI though, I only got about 50 cleanings out of a can. I might have gotten 70 if I was a little less wasteful. Canuck[/vc_testimonial][vc_testimonial style=”theme7″ name=”Holmes” nameclr=”#000000″ profclr=”#000000″]I finally received my product from these folks. Damn, took nearly four weeks. nor did Sweets or Butchs indicate presence of the same. hell out of this rifle! The fouling was minimal and a second 10 minute application yielded a clean patch. My beloved and often used .375 was next. It had received a “standard” cleaning. Same overnight test resulted in an extemely blue patch. Two more 10-15 minute applications took care of that. My .458 is soaking right now. It’s a notorious copper fouler, so it will also be a good test. It will be interesting to see how far it will go. Overall, I must admit to being impressed with the product. Haven’t tried the Flush Out or the Slicker yet, but will soon.